People eat for all kinds of reasons. When they’re lonely, when they’re anxious, when they’re angry, when they’re happy, when they’re sad, when they are bored, and when they are tired, and on and on it goes. So we do agree, our interest in food is not limited to its nutritional value but as well to fulfill psychological and emotional drives and needs. There is a rule in mysticism that everything we see is just a symptom, an indication and an exterior expression of an underlying spiritual current and energy. The reason something appears and is true in this physical world is because, underlying what we see, is a spiritual root and basis for this physical reality. Food, not only serves the needs of our bodies and our intellectual and emotional needs, food and drinks can help strengthen and nourish the spiritual needs and aims of the soul. In the book of Psalms King David says,” They wandered in the wilderness in a path of desolation ….hungry also thirsty their soul languished with them….” On this verse, the Baal Shem Tov taught a great mystical principle. The hunger and the thirst a person has for food and drink derives from deep down inside the soul. The G-dly soul, sent down here to this world to fulfill its mission to make a G-dly abode of this physical world, seeks and craves the G-dly sparks inside the food, to uplift and transform the otherwise physical food, to a higher purpose. The G-dly soul within every person is like a candle. Always dancing and flickering upward, with a constant never ending thirst to fulfill its purpose. When the soul is not able to reach and satisfy its raison d’etre it languishes, and as a result the person many times subconsciously feels emptiness within their lives. The desire for food teaches the Baal Shem Tov, is a deep down desire to connect with a world that needs fixing. This fixing which brings inner fulfilment is reached in the case of food, when the connection is made with the G-dly spark inside. When we keep in mind, that eating should serve the purpose and be another way to make this world a more G-dly place. The Bible also says it is possible, “you might then eat and be satisfied, build good houses and live in them……as your heart becomes arrogant you (might) forget G-d your G-d.” It’s a double edged sword. We can take the food in our hands and realize how blessed we are to see, smell, touch and enjoy the food and give thanks to G-d for this, not taking for granted this incredible gift.. Or, we can gluttonously grab the food to feed and strengthen the pleasure seeking, self –indulgent side within ourselves. 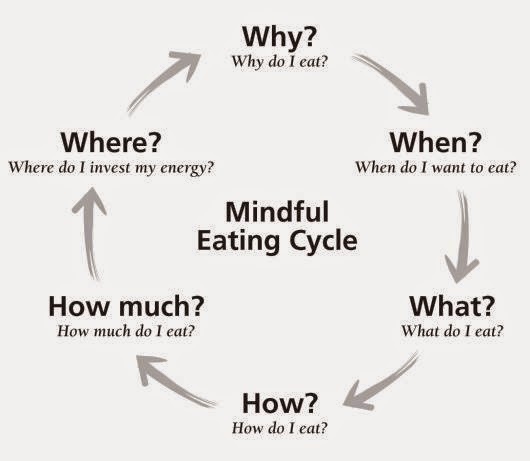 Every time we eat, we can either master the food, by deciding what, when, and how, we will eat, or, the food becomes our master. It tell us, what, when, and how, to eat it and then, we’ve become subservient to it. 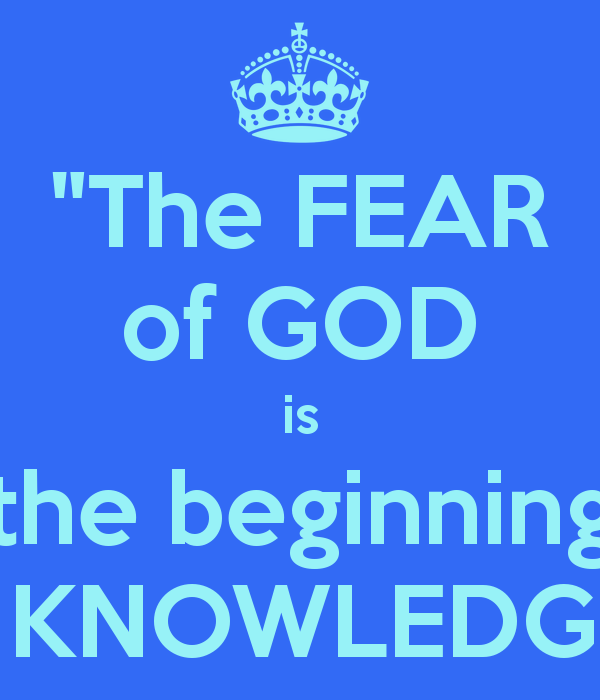 King Solomon concludes his book of Ecclesiastes, “Ultimately, all is known, fear G-d and observe his commandments, for this is the whole purpose of man…” When it comes down to it, King Solomon advises, to fear G-d as the basis and, final objective of human existence. The preacher of Mezritch explains, a person must fear the sin itself and not merely the punishment it incurs. The situation is analogous to a father who warns his son not to walk around barefoot. The father warns that if the child steps on a thorn, he will have to be brought to a doctor to remove it and the operation will hurt him a lot. The son, because of his youth and limited intelligence, is not afraid of the thorn itself and the possibility that he might step on one; he is merely afraid of its removal. The father, however, truly wants him to avoid the thorn, and sees its removal as a positive remedy if he should so require it. So it is with our avoidance of transgression. Man wishes to avoid punishment, but G-d worries about the sin itself, and sees the punishment as a necessary atonement and correction. The things we are commanded to do, like resting once a week and be disciplined with our eating, and start the day with a prayer so we are focused on our purpose, and wash our hands when we come out of the restrooms, are all for our own benefit. Doing what’s wrong, is plain and simple to our own detriment. The Baal Shem tov, teacher of the preacher of Mezritch explains. The above verse in the Bible to fear G-d is not the very simple and immature fear of punishment and fear of a G-d who is greater and stronger. This is something expected in anyone who contemplates on the source for everything and our constant dependence on G-d. The commandment, is to be so aware of G-ds greatness and prominence that a person feels ashamed to do something wrong, that could and would upset and/or offend Him, similar to the way a person would behave and act if a great and respected person was standing right there at his side. The word in Hebrew used by Moses indicates a request from G-d, “for free”. Not because Moses felt, he deserved it, but just because. When a person comes before G-d to pray, he might think G-d should fulfill his request because he behaves well, or maybe he did some “good deed”. And even he wasn’t the best person under the sun, wasn’t it G-d who created all temptations, obstacles and hardships to be a perfect person. And while we’re at it. Wasn’t it G-d who created us and the whole universe, so in truth he owes it to his creations to be responsible and live up to his duties to provide whatever is necessary? However with this train of thought, why even pray and ask from G-d, to begin with? If I am owed whatever, then shouldn’t it be coming on its own? Especially, if it is due to us because of what we worked hard for and earned? Now now, let’s cool it down a bit. First of all. If G-d created a system to reward us for behaving well isn’t that a kindness in itself that G-d granted us, that possibility? And even if G-d should live up to His responsibility, and take care of the world He created, He doesn’t always have to provide on a sunny day when the weather is just right. So perhaps, prayer covers these two scenarios. One, that G-d continues to provide us with the opportunity to be of service, and two, that when and how He does provide, it should be in such a way, that we enjoy His blessings. Moses is teaching us two great lessons from this portion of the Bible. One. Never give up praying. Even after Moses was told by none other than G-d Himself, that it was decreed he wouldn’t enter the land, Moses knew never to give up praying. Even if we have prayed and asked thousands of times, “hope in the Lord, be strong and let your heart be valiant, and hope (again) in the Lord.” Never give up on hope and prayer. Another thing. 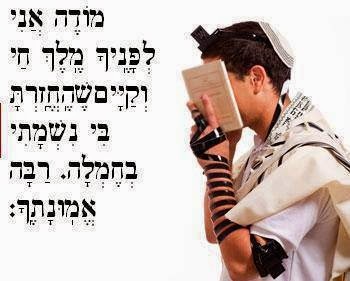 The proper approach to beseech G-d, is to come in humility. Never demanding. The way that works, is, as if leaning on G-ds kindness, a request. Not because we deserve, but because G-d is the ultimate in kindness and goodness. Righteous people think, that had someone else been given all the opportunities they were granted they would most likely perform even better than themselves, and this made them feel undeserving. An empty vessel leaves room for more. A person who is arrogant and full of his own self-worth leaves no room for G-d and/or His blessings in his life. Conclusion of the study.....STRESS IS.. In a splashy, much-discussed paper published in 2008 in the Proceedings of the National Academy of Science, John Coates and Joe Herbert of Cambridge University concluded, stress spurs cortisol secretions. If you're stressed like a normal mammal, running from a predator, cortisol helps to save your life. But chronic psychological stress—a human specialty—elevates long-term cortisol levels, which increases the risks of stress-related diseases. When did cortisol levels rise in stock traders? You might think: when they lost money. But that wasn't it. Instead, market volatility, raised cortisol. This makes lots of sense, given that the two key building blocks of psychological stress are lack of control and unpredictable situations. In addition to its effects throughout the body, cortisol also influences cognition, emotions and behavior. This is what Dr. Coates and his colleagues address in their new study, also published in the Proceedings of the National Academy of Science. In the Torah, which precedes this study by thousands of years, in the code of Jewish Law, it tells us not to nominate an exceedingly old person, especially if he has no children, to the position of a judge. The reason is because he lacks compassion and sensitivity, two necessary ingredients in being a judge. But shouldn’t a legal case be deliberated strictly on the basis of objective rational legal concerns. If the judge is a scholar and has the knowledge and is honest shouldn’t that be sufficient? Why are we including in the required conditions to be a legal judge, one’s emotional traits and character leanings? The Bible says – Moses became angry, and as a result, he erred. 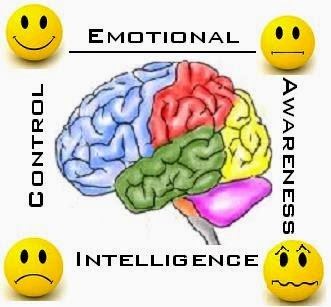 The big deal here, is that a person’s emotional inclination and state of being, works backwards too, on the intellect. It is impossible to separate the two. The Talmud discusses the two different schools of Hillel and Shammai. Hillel was generally leaning to more lenient rulings while the house of Shammai was generally strict in their rulings. In mysticism it explains the underlying reason. The soul of Hillel was from a more right leaning spiritual source which is generally benevolent in nature. Shammai on the other hand was from a more left leaning source which is associated with strictness and judgments. The law, generally follows the rule of Hillel because – the power of leniency, mercy and compassion, is greater, and that is what G-d in his Torah demands of us. Although we are first and foremost a people of laws, those laws must be administered, influenced and spiced, with mercy and compassion. Our sages tell us, our present calamities came about because of senseless hatred. People were not nice to each other for no special reason. Just because. The way to undo this negative, is by turning to the positive side, being nice to one another and developing a feeling of kindness for people, for no special reason, just because. Just because every human being is created in the form and image of G-d. Just because every human being has a special place and a unique purpose that perfects the world, for all of humanity. If we nurture the feeling of kindness for each other for no special reason, just because, our thoughts and decisions will reflect those feelings. This will ultimately eliminate the negativity in the world and bring the final redemption, of peace and harmony for all of humanity.